The best-seller lists for Indian fiction tend to be dominated by a certain kind of book and a certain kind of author. The commercial market for Indian writing in English was cracked open by Chetan Bhagat, and Amish Tripathi widened that crack before Durjoy Dutta and Ravinder Singh snapped it wide open. Spawning a veritable large-scale industry of imitators, these illustrious names have made ‘writing’ appear, even if deceptively, as a viable career option, and perhaps that is not a bad thing. Where a disservice has been done has been in suppressing the voices of those who wanted to write something different. The ones who wanted to tell a story they believed in, rather than trying to construct success from a template, without the backing or vintage that has allowed the Lahiris and Ghoshes to make a name for themselves quite independently of their Indian-ness. Last week, I reviewed Sriram Subramanian’s Rain - a sincere attempt to break this mould, and today I sit with Radhika Tabrez’s In the Light of Darkness on the table before me, having just turned the last page. And I think I am relieved – even quite pleased – that a publisher like Readomania, along with of course the initiative and skill of the author herself, has brought out this book. 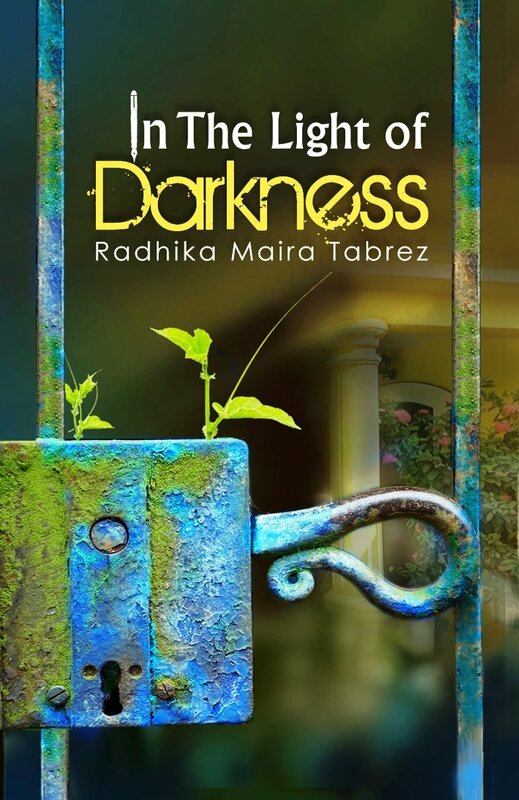 In the Light of Darkness tells us the story of Susan Pereira, a widow living in her ancestral bungalow in the island town of Bydore, and the people around her whose life she affects in many profound ways. Primarily these are her estranged son, Matthew, and Meera, a girl she has ‘taken in’ after an accident. Susan and Meera have a support system in the form of Deena, her childhood friend, and Colonel and Mrs Bindra, the retired military couple who live nearby. As the book progresses, Susan’s past and Matthew’s present are revealed to us, and the life stories of the characters begin to converge around Bydore. As much as the book is about Susan, Matthew and Meera however, it is also about the fictional Bydore, Ms Tabrez’s answer to Narayan’s Malgudi and how the land and the events around it shape the lives of its inhabitants. As the book progresses and we see the characters grow before our eyes, the lasting impression that is left is of the island itself, with its picturesque bungalows by the sea, the Hospital that is involved in several pivotal events and the orphanage on the other side of the island. Apart from the central characters mentioned above, there is Deena’s daughter Suhana and Matthew’s best friends, Maanav and Vidushi, and Vijay Varghese, who runs the NGO looking after the orphaned children on the island. For the most part, the characters are well portrayed, with strong shades of real life. The transformation of Matthew can appear too good to be true at times, especially compared with the more complex character of Meera. Some readers may find the minor characters are a little one-dimensional, but in my view this is in line with the requirements of the plot, and may not be a worthwhile criticism for a book of this length. 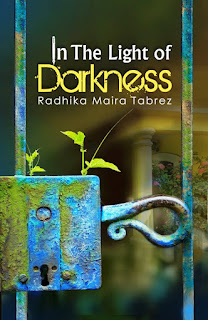 From reading Ms Tabrez’s work in the form of short stories and articles, I was already aware of her skills as a writer. What was interesting to see was how it translated into the novel format. For a debut novel, the plotting and language is quite exemplary. But knowing what the author is capable of at her best, I’d have to say that over the course of its 264-page length, In the Light of Darkness can be erratic. There are times when the pacing slows, mostly due to a tendency to over-explain events and thoughts. Since the author had already done a good job of bringing out through conversation and events, this felt superfluous. To put it differently, the author is capable of very good ‘show’, but still sometimes indulges in ‘tell’ when it isn’t necessary. Similarly, at places the dialogue flows beautifully while at others it has a stilted feel to it. These are relatively minor quibbles though, and placed here to give context to the fact that I read the book in virtually a single session, staying up late into the night. Ms Tabrez undoubtedly has skill, and given time and effort, I think we can look forward to even better work from her pen. It is easy to recommend In the Light of Darkness, and I would, had I not stopped making recommendations. What I will say is that it has an engaging plot, the prose is fluid and while not perfect, there is enough that is good about it to make this a cut above other work in this genre. More importantly, the potential on display means that her future work will be worth looking forward to, and that is not something I normally say. Thanks for being such a swift and involved reader. Balanced reviews, such as this, are rare to find these days. Most reviews are loaded with false applause and bucket full of stars.